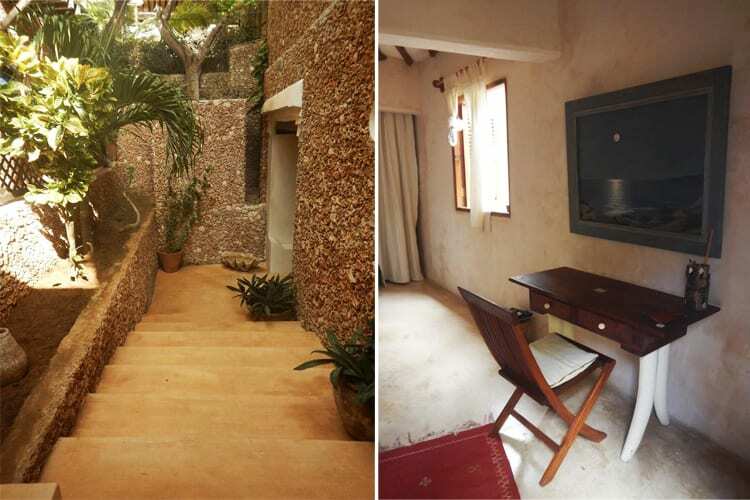 Uzio House is one of the most historic and welcoming houses in fashionable Shela village. 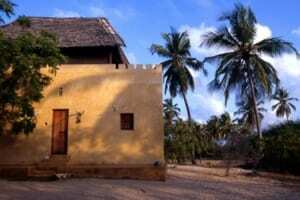 Refurbished and redecorated for 2018, it retains its authentic Swahili character and is full of traditional decorative and architectural features such as carved wooden doors, intricate zidaka plasterwork and painted wooden beams – plus antique Lamu furniture and quirky fixtures and fittings – all lovingly assembled and cared-for by the house’s Italian owner. . The house is laid out over three floors. On the top floor is the Master Bedroom Suite which has its own private interior sitting room and bathroom. 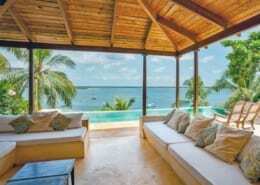 It leads onto a makuti-thatched terrace with built-in baraza sofa seats and lovely views of Manda Island and the Shela waterfront. Below are two more bedrooms – one twin-bedded and one double-bedded – both with their own bathrooms. Also on the First Floor is a spacious dining, sitting, veranda and terrace area – part interior, part open-air and part makuti-thatched. The traditional galleries of the historic Ground Floor lead on to a covered dining terrace with sitting area and a small harbourfront garden full of vibrant bouganvillia and its very own coconut tree. Chef and house manager Kahindi and the two other friendly and helpful house staff are on hand to shop, cook and look after guests as required – they can also do laundry and help organise dhow trips and other excursions. Also available to rent in conjunction with the Main House is the 1-bedroom Uzio Cottage. Just next door to Uzio House this self-contained annexe consists of double bedroom, bathroom, kitchen and private makuti-thatched roof terrace with sofa seats and dining table. 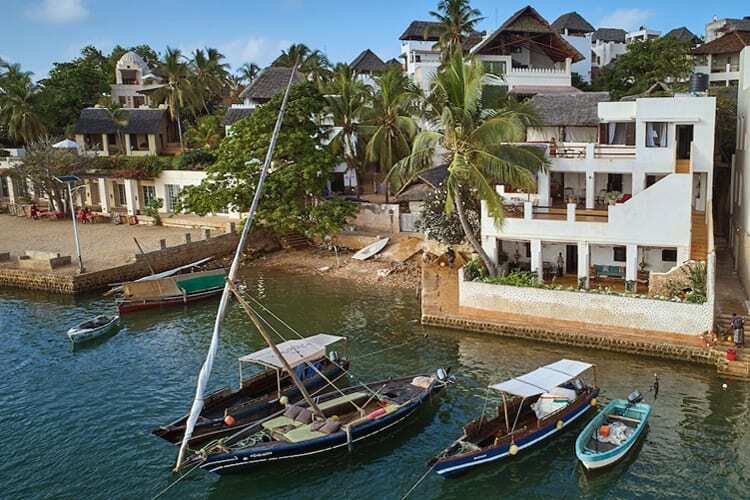 Uzio House sits right on the waterfront in Shela village close to the eastern tip of Lamu Island, and looks out north and east across the Lamu channel. Peponi Hotel is just two hundred metres away – a short stroll along the seafront or through the village – and the island’s main beach is only a minute or two away from the house. 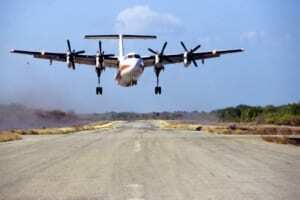 Lamu Town is two miles north of Shela, and Manda Island and its airport are a short boat ride away.